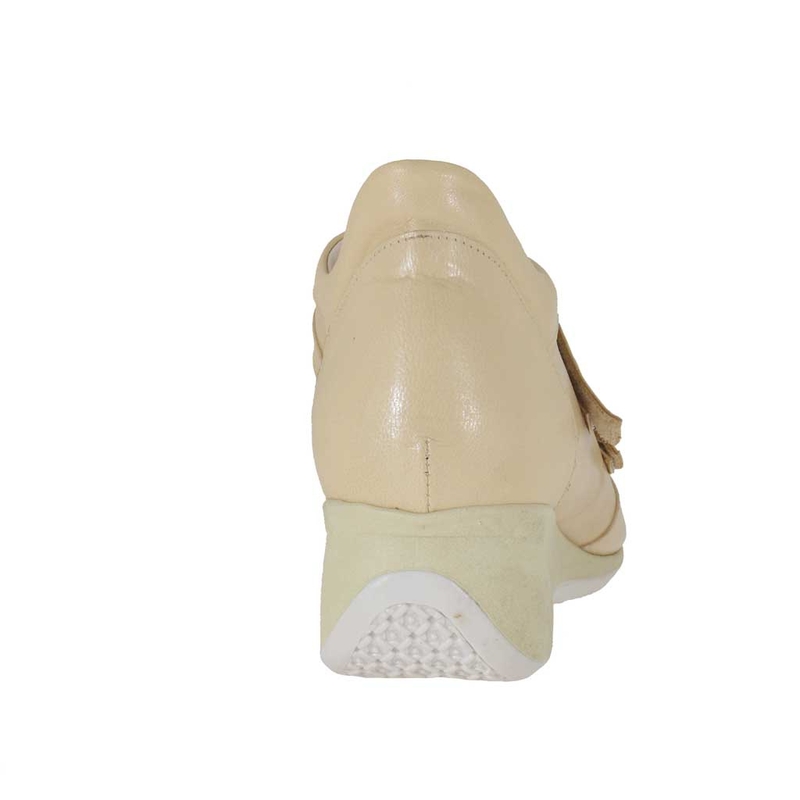 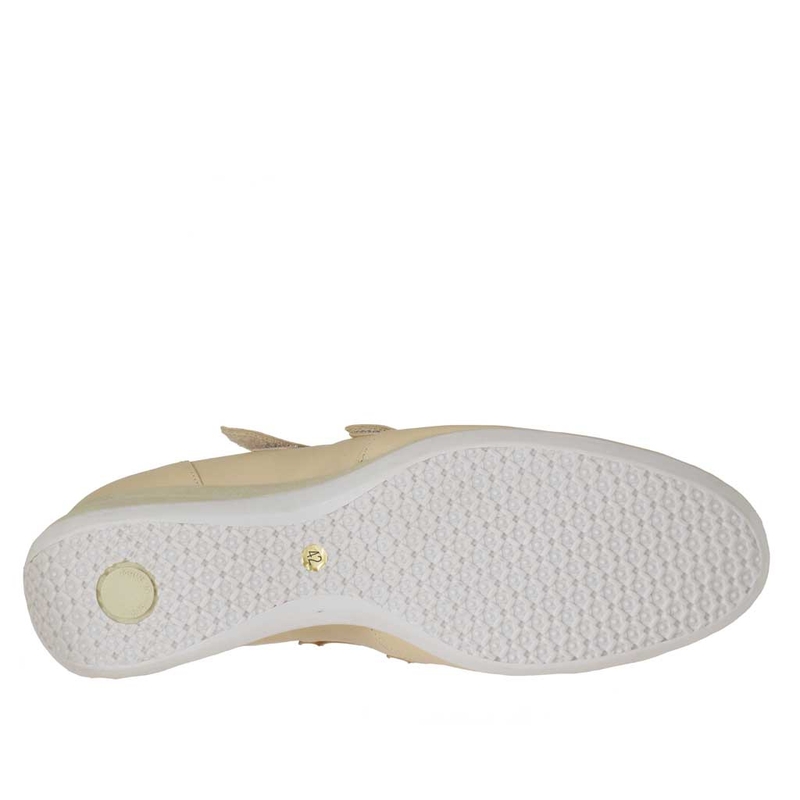 Woman's shoe with velcro fasteners, 5 cm. 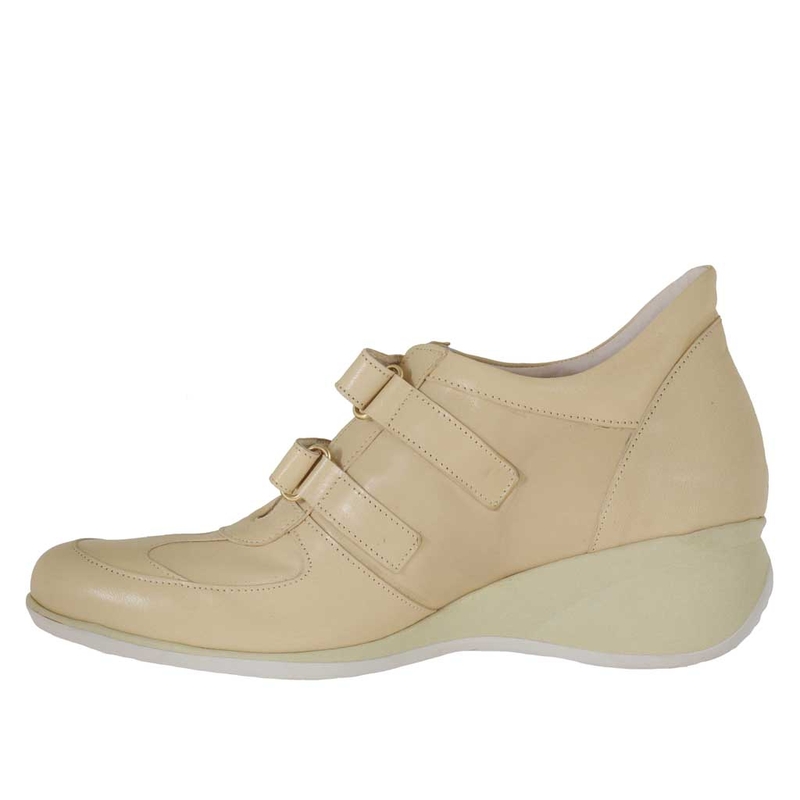 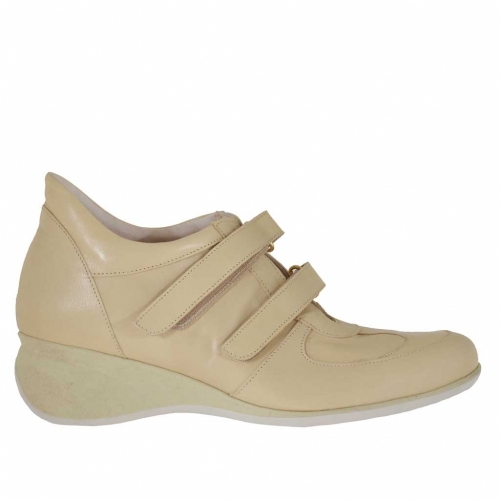 high wedge, in beige leather, rubber sole, leather lining. Available in big sizes.